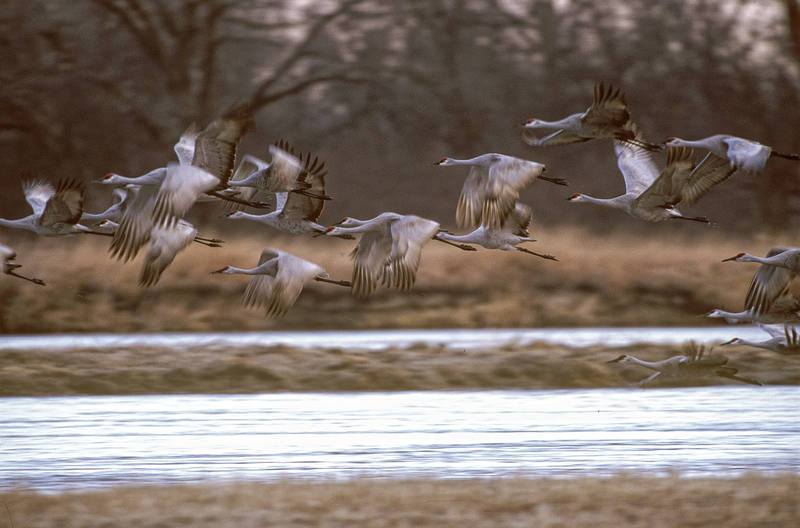 Each spring, something magical happens in the heart of the Great Plains. 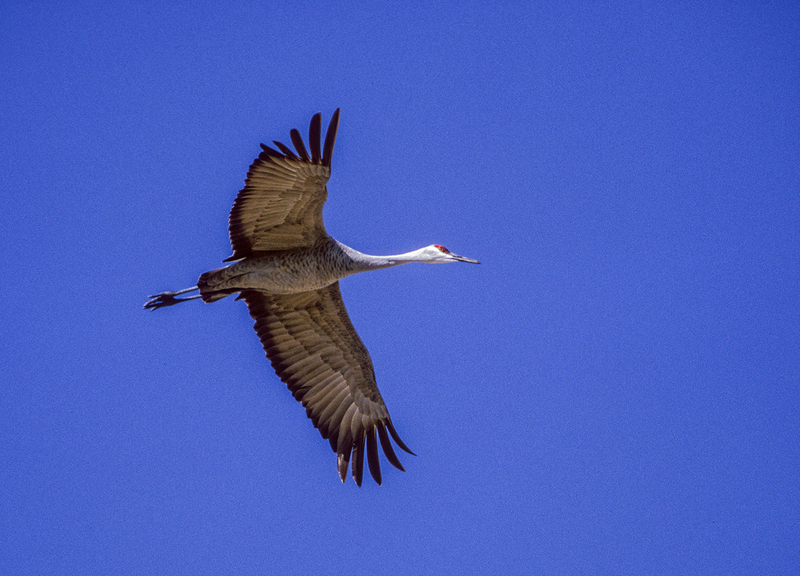 More than 80 percent of the world’s population of Sandhill Cranes converge on Nebraska’s Platte River valley—a critical sliver of threatened habitat in North America’s Central Flyway. 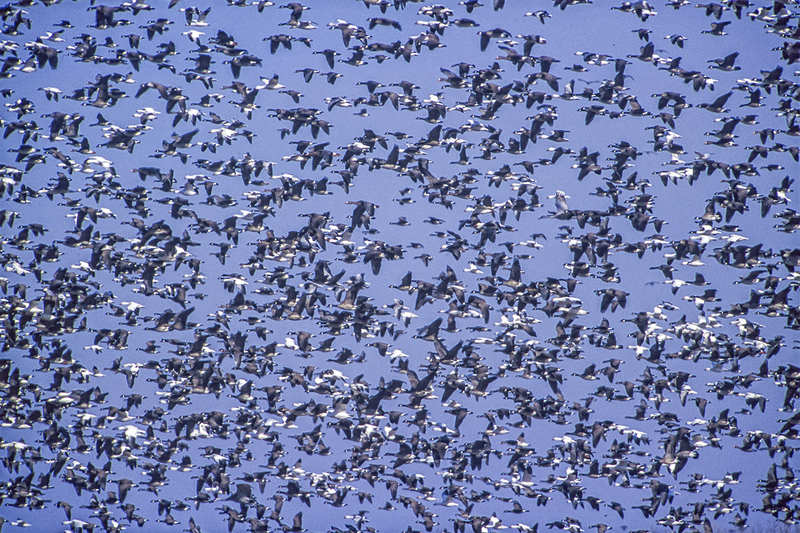 Along with them come millions of migrating ducks and geese in the neighboring rainwater basins. 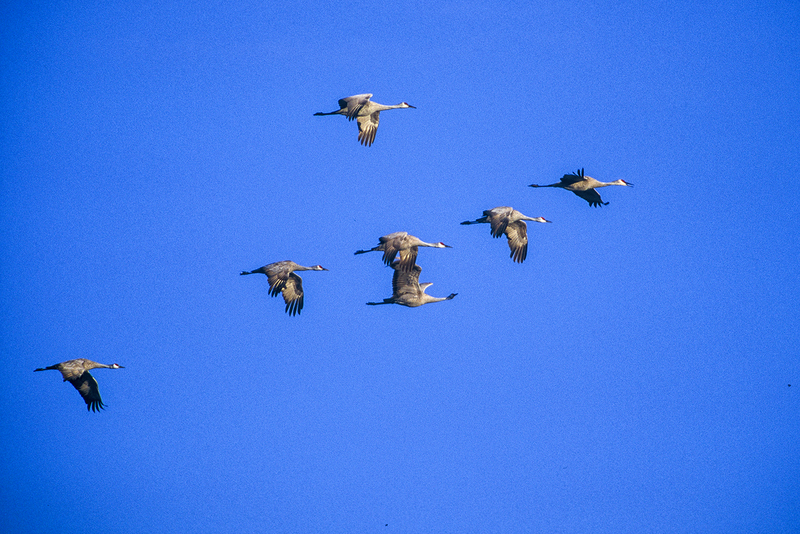 The cranes come to rest and refuel for a month as they prepare for the arduous journey to vast breeding grounds in Canada, Alaska and Siberia. 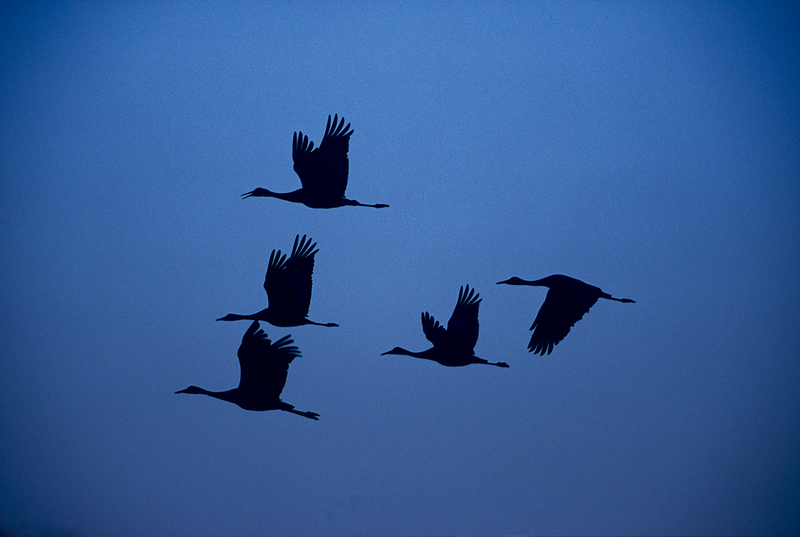 They arrive from far-flung wintering grounds in northern Mexico, Texas and New Mexico on an epic journey of thousands of miles. For centuries they have come to rest and restore themselves. 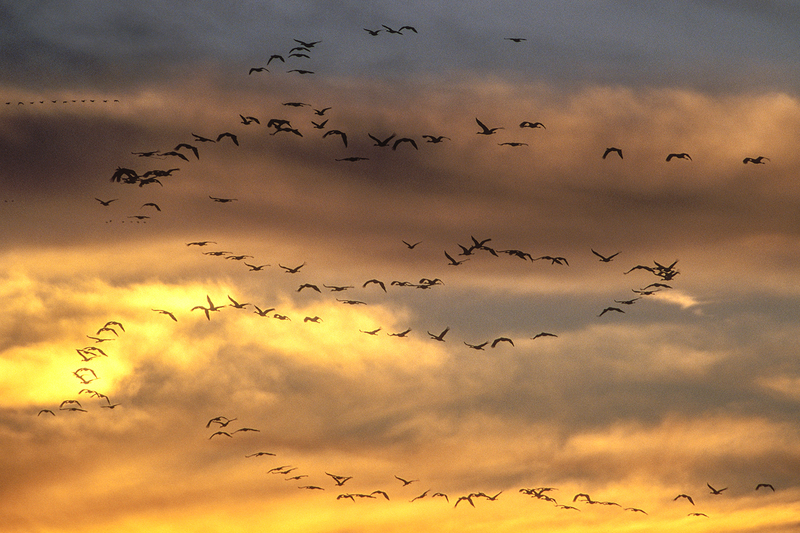 The shallow braided channels of Nebraska’s Platte River provide safe nighttime roost sites. Waste grain in crop fields provides food to build up depleted fat reserves needed for migration. Adjacent wet meadows provide critical nutrients and secluded loafing areas for rest, bathing and courting. 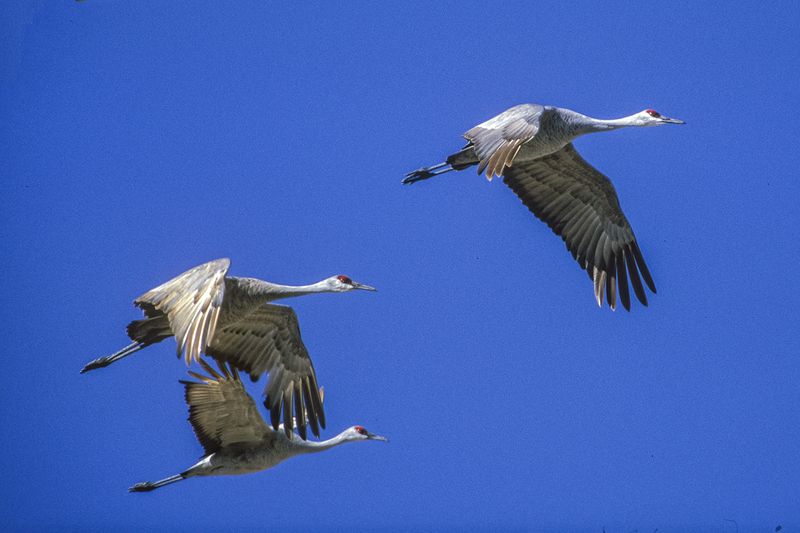 During their stop in Nebraska, cranes gain nearly 10 percent of their body weight. 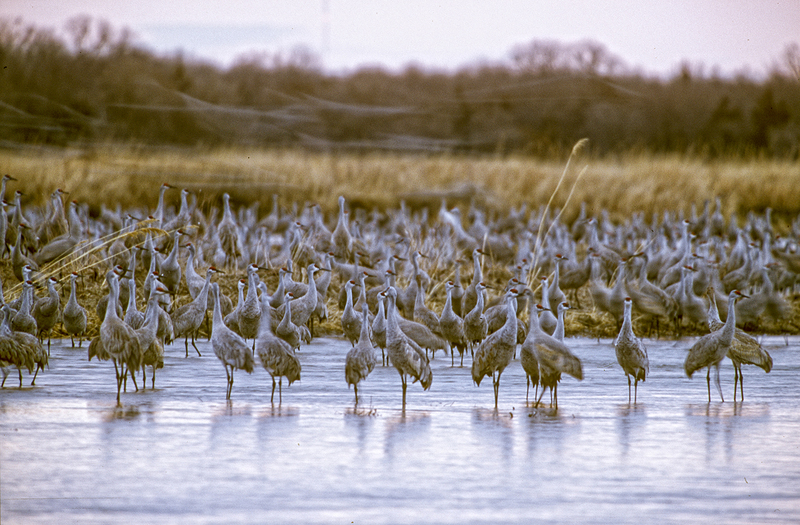 There is no question: The arrival of the cranes on the Platte River—and the millions of other migratory birds that visit each spring—is one of the greatest wildlife spectacles on the continent. NOTE: You can enlarge any image on the blog simply by clicking on the image.